Import / Export DLC, the new update for GTA 5 online is now available on all platforms. 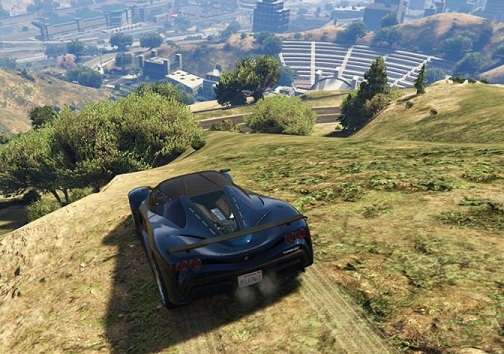 The new DLC is all about fast cars / vehicles and trading with them. There are several new luxury cars that you can expect in this new update. As CEO, you can buy a new warehouse for storing, repairing and modifying the stolen cars. In this guide we'll show you what's new in Import / Export DLC for GTA 5 Online. When importing / exporting you earn a lot of money by stealing luxury cars and reselling them. To do this, you need to buy a warehouse that can fit up to 60 cars. Through the CEO's office you can accept orders for the theft of luxury cars and then proceed to these cars. There are various possibilities, from the simple car claw to the gripping chase with the police. When doing the job, be careful not to damage the cars too much. Before you can sell your cars, your personal mechanic needs to repair them again and that will cost you money. This makes you less profit if you want to resell the cars. You can also resell the cars via the AD-Hawk cars program. You can access this via your PC in your car warehouse. There are always a few buyers who want your cars. However, some people want these cars to be extra tuned, so you have to put more money into the car before you can get the commission. You can decide for yourself who you want to sell the cars to. When selling the cars, make sure you don’t risk too much. In a lobby with other players and biker clubs, it can happen that you get a dash through the bill. So that the sale is worth, you should avoid damage the vehicle as little as possible. With competition in your lobby, this can quickly become a bad business if the vehicle is damaged. If you have stolen a few vehicles, your special missions will be unlocked. If you successfully complete these co-op missions, you have the opportunity to buy these special vehicles. Then there is an extra SecuroServ trade price for you. The possession of special vehicles also unlocks new VIP work. There are 2 new super sports cars. The Pegassi Tempesta for 1.329.000 GTA $ and the Ocelot Penetrator for 880.000 GTA$. At Benny's Garage, the Principe Diablous Custom is now available for 169,000 GTA $ and Annis Elegy Retro Custom car. In addition, you can now change the appearance of your character with GTA 5 Online. So far one could change clothing, tattoos and hair. Now, Rockstar goes one step further and lets you screw around your body not only on your cars, but also on the road.